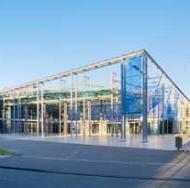 The IHE-Europe Connectathon 2016 was held at the RuhrCongress Bochum on April 11-15, 2016. The IHE-Europe Connectathon in Bochum, Germany was an outstanding success with 23 countries represented. 6 Domains tested including Radiology, IT-Infrastructure, Cardiology, Laboratory, Pharmacy and Patient Care Coordination. 6 countries testing “epSOS specifications” for their national infrastructure through the latest version of the openNCP tools. eFA: testing German extensions to XDS.b, ATNA and XCA Profiles involved 9 vendors who simultaneously participated in the Connectathon itself. Gazelle Proxy and Gazelle Test Management Jboss7 version were used for testing, this ensured high stability, limited downtime and greater testing opportunities. Alongside was an excellent programme of events including both international and national symposia, associated meetings and discussions. Eric Poiseau, Connectathon Technical Manager, commented – “Huge thanks to all the 2016 participants, staff, monitors and local organisers who made us feel so welcome in Bochum and to the companies that participated special congratulation of your successes and we look forward to welcoming you all to Venice in little over 10 months time”.